The holiday season is upon us and Starbucks isn’t lagging behind with the release of their seasonal line up that includes both old and new favorites. Starbucks is a coffee juggernaut with great influences in and outside the United States. Chances are if you walk through any shopping district, you might’ve seen at least one or two of these. Like any other successful company, they’re always looking for ways to entice customers to come in, and this time it’s taken the form of their seasonal drinks that are only available for a limited time. 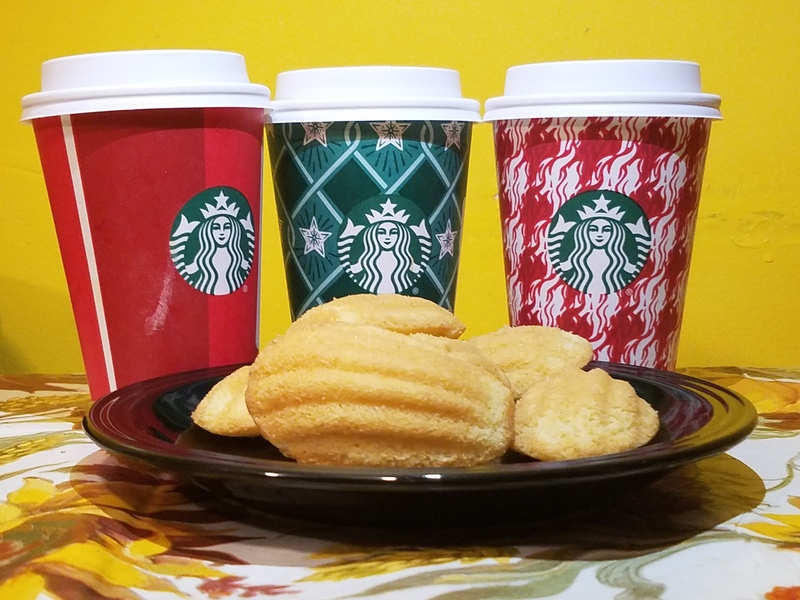 Starting November 1st all participating Starbucks will be serving Toasted White Chocolate Mocha, Caramel Brulée Latte, Peppermint Mocha, alongside a few others. Although there isn’t an exact date for when these festive drinks will go out of season it’s estimated that it will most likely be in mid-January, or at least until supplies last. Starbucks’ attempt to avoid any “red-cup-drama” this holiday season? They’re perfect for this time of the year, the heat coming off of the drinks helps fight off the bitter cold that’s become the norm, and with caffeine levels ranging between 150 to 175 milligrams, they are guaranteed to keep you going throughout the day. A particularly great thing about them was that they still managed to cool down fast enough so you can drink without having to fear to burn your tongue. The cups are also a fun way to get into the holiday spirit with their festive designs that unlike previous years are simple, but still bursting with holiday joy. As for the coffees themselves, they were very underwhelming. The Peppermint Mocha Latte had a very strong overpowering taste of mint that hits you as soon as you try it, the chocolate is very bitter so it wouldn’t be recommended for anybody looking for a sweet delight, besides the taste of peppermint there wasn’t much to distinguish it from an ordinary hot chocolate. On the other hand, the Toasted White Chocolate Mocha and Caramel Brulée Latte were very sweet, but the flavors were lacking. It’s also worth mentioning that since my review a new drink has come out known as the Juniper Latte. What is supposed to separate this drink from the rest of the holiday selection is the new juniper-flavored syrup and instead of whipped cream, it’s topped off with layers of pine-citrus sugar dusted foam. What was really surprising about the drinks was the serving size, each coffee comes in a cup that’s about the size of an average phone, that may not seem so significant on its own until the price is taken into account. Each one of these festive drinks costs $6, with that price it wouldn’t be recommended to have one of these regularly this holiday season on a high schooler’s budget.